Galleries galore . . . Throughout the year, the LSU School of Art hosts exhibitions of work by undergraduate and graduate students, faculty, and local and visiting artists. From contemporary paintings, prints, and photographs to ceramics, graphic design, and sculpture, students at the College of Art & Design have abundant opportunities to see and experience innovative work from a wide range of perspectives and social themes. 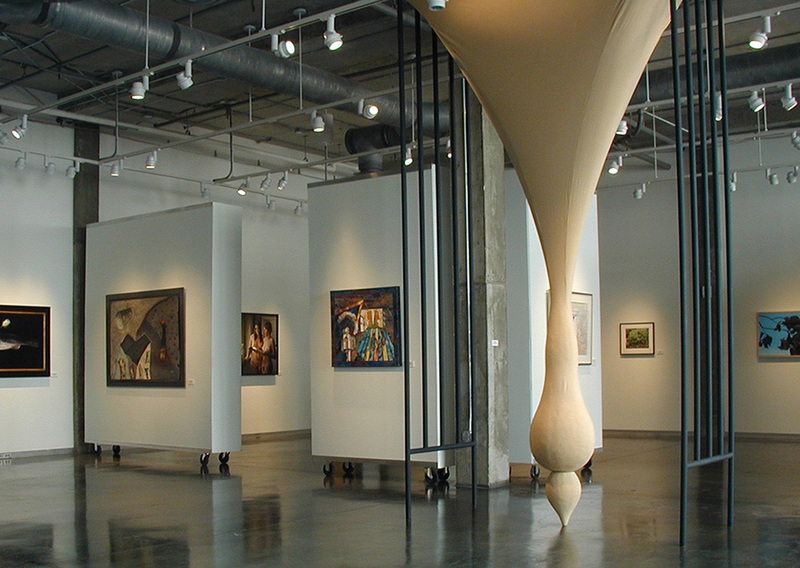 The LSU School of Art’s gallery spaces include Foster Gallery, located in Foster Hall on the LSU campus, the Alfred C. Glassell Jr. Exhibition Gallery, located in the Shaw Center for the Arts in downtown Baton Rouge, and Gallery 229, a photography exhibition space located in the Art Building on campus. Students also exhibit their work in the Sculpture Quad, located between Atkinson Hall and the Studio Arts Building, which features permanent installations and temporary works by sculpture students throughout the year; on the atrium wall in the Design Building, where student work is showcased through displays that change on a monthly basis; and sometimes—if you visit at the right time—you might witness the pop-up “locker gallery” in the hallway of the Studio Arts Building. Hill Memorial Library, which has a program that includes historic and contemporary exhibitions of artists’ books, photographs, and printed ephemera. Baton Rouge boasts a thriving and contemporary art scene, as well. Check out the art scene in Baton Rouge or visitbatonrouge.com for more information.